Aida is the premier global manufacturer of metal stamping presses and continues to take the lead in developing new and innovative metalforming solutions. 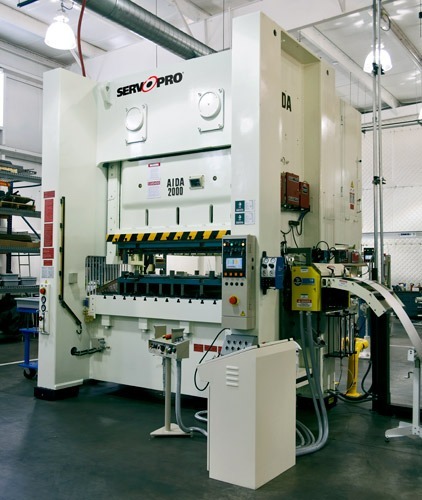 Their presses are used to manufacture a broad range of items including automobile components, appliance parts, electric and electronic components, connectors and terminals, and motor laminations. With a reputation for providing innovative and reliable equipment as well as complete solutions, they are the press manufacturer preferred by leaders in every industry. Read on to see video of Aida stamping presses in action. And for a quote on an Aida stamping press for your business, contact us today. We look forward to helping you!